ER Editor: We also recommend this 14-minute video from Duran journalists Alex Christoforou and Alexander Mercouris discussing the Kerch Strait situation. Bloomberg dropped a bombshell on Thursday, citing three high level sources familiar with US-German talks at last month’s Munich Security Conference who revealed US Vice President Mike Pence tried to persuade German Chancellor Angela Merkel to directly provoke Russia by sending German ships through the Kerch Strait, the two mile wide flashpoint off Crimea which saw Russia seize Ukrainian vessels and their crew members on November 25. Interestingly, Merkel’s stance wasn’t based on any principled desire to promoted peace or prevent needless provocations which could potentially spark regional war between Ukraine and Russia and western allies, but out of concern that it essentially “wasn’t enough”. Merkel had indicated she was willing, in coordination with the French, to send a convoy through the waterway as a one-time maneuver but Poroshenko said that wasn’t enough to solve his problem — he wants to ensure the strait is open permanently, the people said. France also refused to take part, judging the idea as an unnecessary provocation, according to another official who declined to be identified. Following the controversial 2014 Crimean status referendum, which resulted in the peninsula coming under Russian suzerainty, Russia has been accused of choking off Ukrainian naval access to its ports on the Sea of Azov to the north of the Kerch Strait. 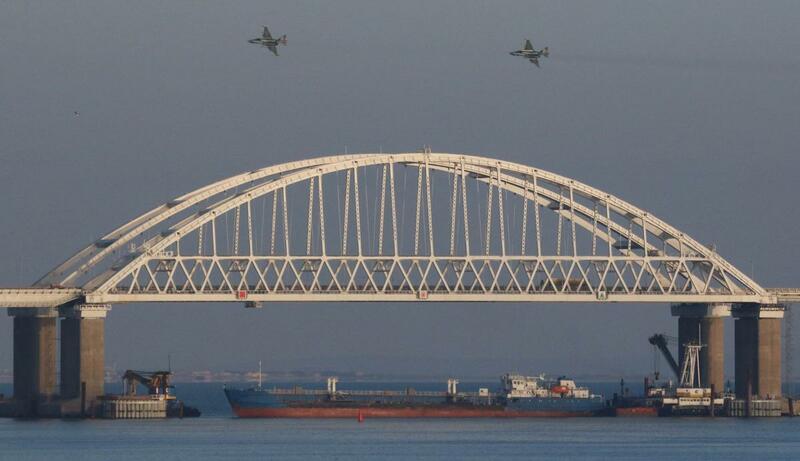 When Ukrainian naval entry through the now disputed waterway came to a head in November of last year, the Russian navy fired on three Ukrainian vessels attempting to traverse the passageway before seizing the vessels and 24 Ukrainian sailors, which Moscow has refused to release, despite personal attempts by France’s Emmanuel Macron and other western leaders to intervene in the standoff. 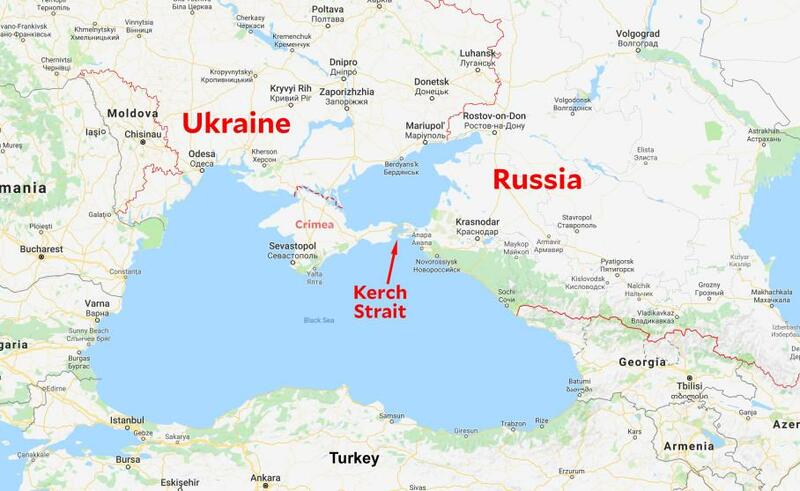 Further, as Bloomberg notes, Russia completed a road bridge across the Kerch Strait in order to solidify Crimean links to the mainland and is reportedly in process of adding a rail link. Meanwhile, Kiev has attempted to rally international allies to mount a pressure campaign which would force Russia to open the strait to Ukrainian and other allied vessels. But not only does this latest revelation of German and European reluctance to start a fight with Moscow over the strait reveal that Ukraine has a weak hand, a 2003 treaty between Russia and Ukraine deemed the Sea of Azov is an “internal” body of water, for which any outside military vessel must have the consent of both Moscow and Kiev to pass through. Ukraine has recently said that the Russian seizure of Ukrainian vessels and crew violated the treaty’s terms, to which Moscow has said the Ukrainian vessels were aggressors against Russian ships in the first place. Over the past two months both UK and US military ships have entered the Black Sea to the south of the Kerch Strait, but no others have made a move further north since the Kerch Strait incident, which had the potential of bringing Russia and Ukraine into more direct conflict, with western allies backing Kiev. “They, frankly, don’t like us in the Black Sea,” General Curtis Scaparrotti of the U.S. European Command and NATO’s supreme Europe commander told the Senate Armed Services Committee while referencing Russia this week. Scaparrotti further called for more deterrent firepower, specifically citing the “Russian threat” as something the United States remains underprepared for: “I am not comfortable yet with the deterrent posture that we have in Europe,” he said. “While the US maintains a global military superiority over Russia, evolving Russian capabilities threaten to erode our competitive military advantage,” he explained. 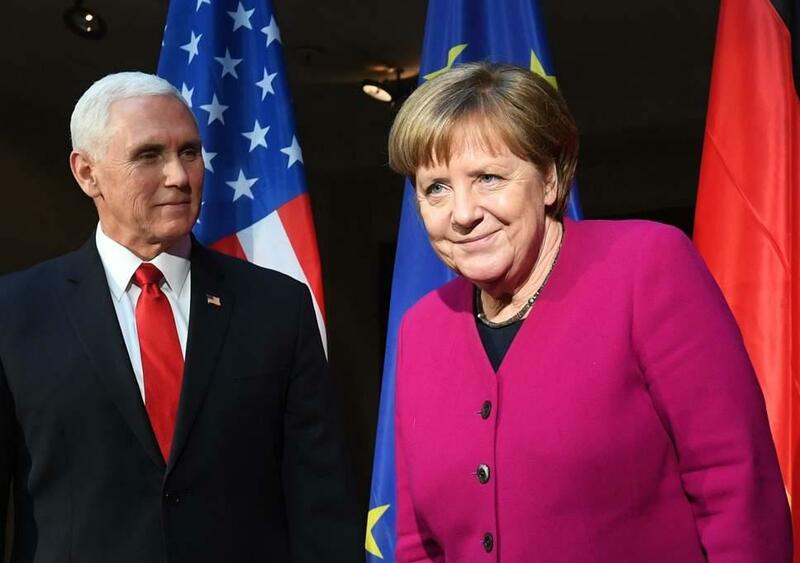 Thus even by the Supreme Allied Commander Europe’s own admission, neither the US nor its European allies like Germany or France are ready to initiate a major confrontation with Moscow in its own backyard, as it appears Pence was ready and willing to do.